Damien Guillon, who has been proving himself as an interpreter of the more spiritual side of Baroque music, now makes his debut on Glossa both as countertenor soloist and director. 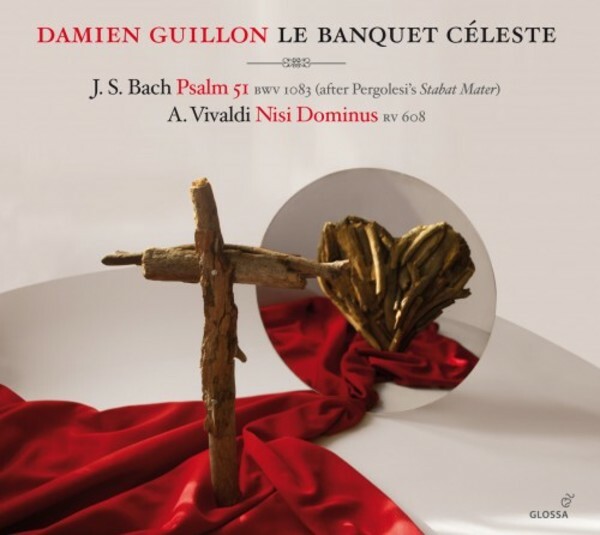 In a fascinating pairing of Bach and Vivaldi psalm settings � Tilge, H�chster, meine S�nden and Nisi Dominus � Guillon directs his ensemble Le Banquet C�leste, with which he recently made his debut in Avignon, conducting Acis and Galatea. Amsterdam, thereby a fascination ensued, especially with Vivaldi's concertos. next generation, GB Pergolesi, whose music Bach turned to as the basis for a setting of Psalm 51, Tilge, H�chster, meine S�nden. The result was a magisterially rendered reworking � in parody form � of Pergolesi�s theatrical (and Catholic) Stabat Mater, adjusted by Bach to accommodate the different demands of the German Protestant text. Baroque music, whose vocal agility and purity has been entrancing audiences across Europe.